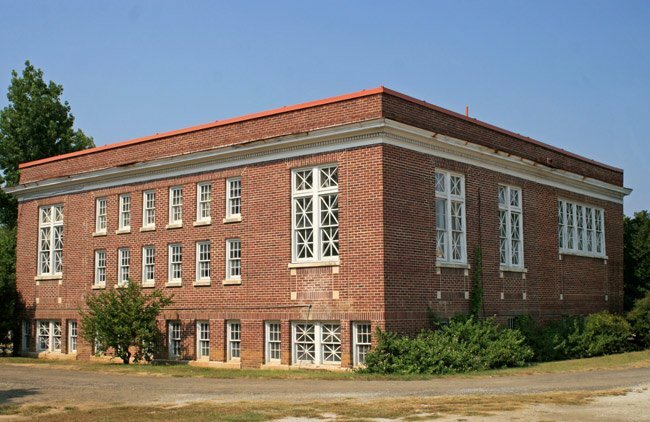 This brick building in downtown Darlington was built in 1920 with funds donated by the Carnegie Foundation, an organization begun in 1883 by business magnate and philanthropist Andrew Carnegie. The Carnegie Foundation established libraries all over the world. From 1883 through 1929, 2,509 Carnegie libraries were built and made available to the public – 1,689 in the United States alone. 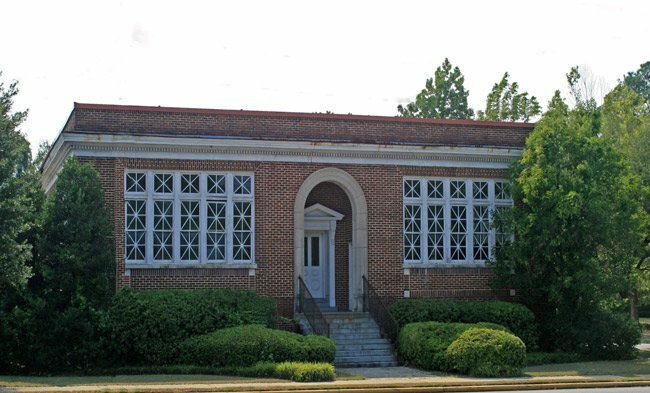 The Darlington library was expanded in the mid-1930s with the support of the Works Progress Administration, a federal agency established in 1935 to assist in the construction of public buildings and roads. The library operated until 1988 when a new county library was built. The city acquired the old library in 2002, changed its name to the Darlington Museum of History and Fine Arts in 2007, and stabilized it in 2008. However, the building remains in need of further restoration. Despite the building’s new name, a definite plan for its future has yet to be decided by the city. The St. John’s Historic District contains a concentration of late nineteenth and early twentieth century vernacular buildings, including residential, religious, and educational examples. The majority of the buildings were erected by local contractors without the help of an architect. The district consists of approximately nineteen properties of particular historical or architectural significance and thirty-six supporting properties. The focal point of the district is St. John’s School complex and campus, the Academy Green. The properties in the district are located in approximately five block area of oak lined streets. Approximately 75 percent of the buildings were constructed prior to 1925. Most of them were built between 1880 and 1925 during a period of unprecedented agricultural prosperity and reflect the architectural characteristics of that era, including Victorian, Neo-Classical, Colonial Revival, and Bungalow. The majority of the buildings in the district have been continuously used and have been kept in good repair.